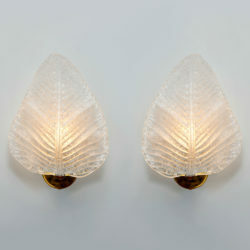 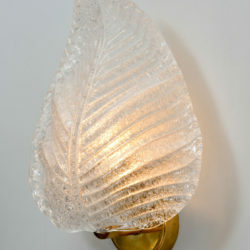 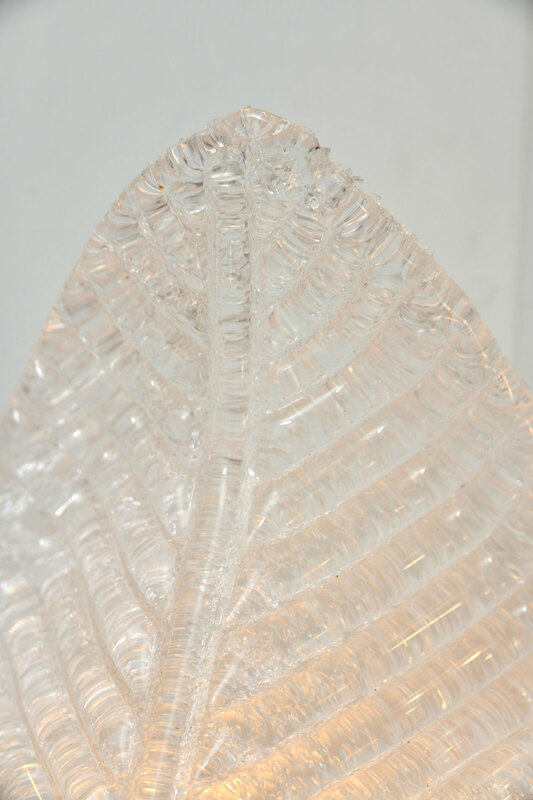 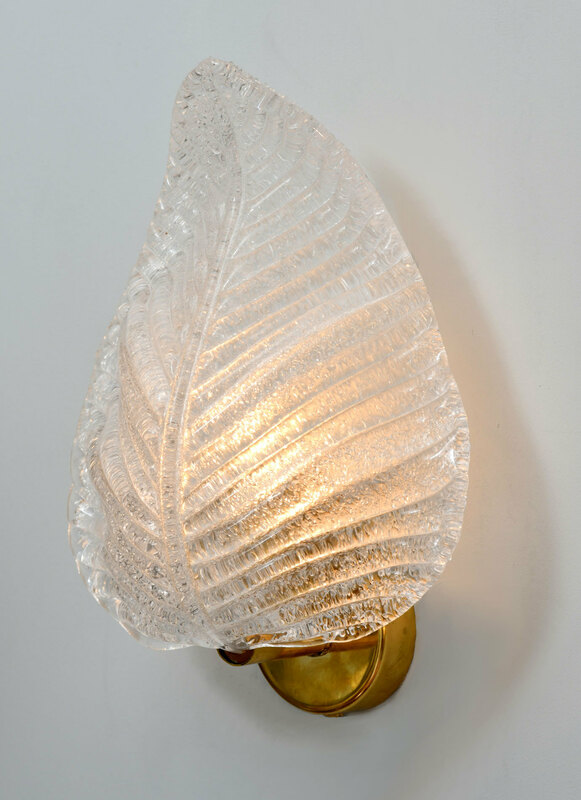 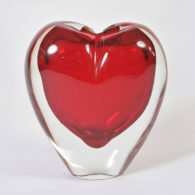 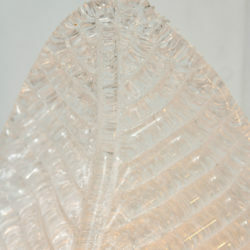 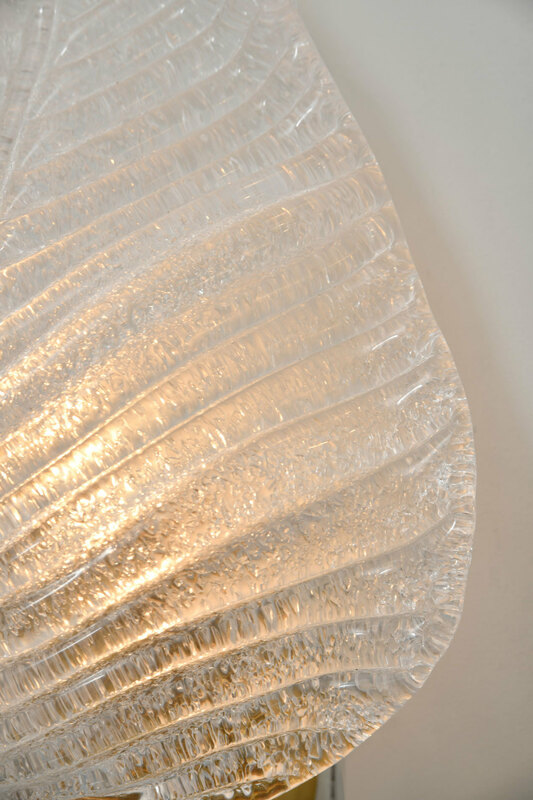 Thick frosted Murano glass sculpted and textured into a leaf. 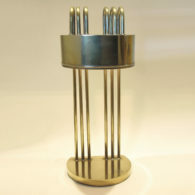 Sits on a circular brass wall fitting. 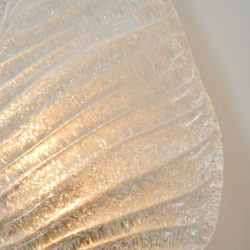 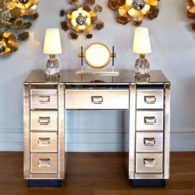 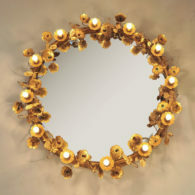 Emits lovely warm light.